Cushion and pillowcase There are 15 products. Small cushion 40x40 cm white. 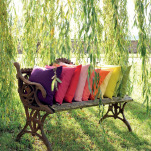 Cushion with envelope (outside) 100% cotton percale, lining (inside): 100% polyester hollow fiber (+/- 300 gr). 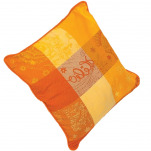 Small decorative cushion with zipper to remove the interior lining if you find it too thick. 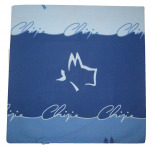 Washable from 40 to 60°C with the zipper firmly closed (the cover and the flakes are washed together).